Living in Encinitas west of the I-5 and Neptune Ave presents future homebuyers with a sweet life, brimming with days at the beach, trying new restaurants, and shopping local boutiques. 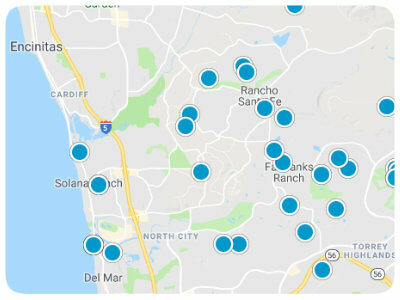 Folks living in Encinitas west of the I-5 and Neptune Ave have a plethora of eateries, bistros, and cafes from which to choose making it so most households will be able to find a new favorite restaurant. Families are encouraged to visit the beautiful outdoor space like Leucadia Park, Mildred MacPherson Park, and Cottonwood Creek Park for seemingly endless hours of fun and games. Real estate in Encinitas west of the I-5 and Neptune Ave can be located near some of the gorgeous Pacific beaches like Moonlight State Beach and Grandview Surf Beach. In these waterfront homes in Encinitas west of the I-5, homeowners can truly feel comfortable at paradise while listening to the ocean’s waves crashing. Floor plans in Encinitas homes west of the I-5 and Neptune Ave boast between 1,000-5,000 square feet of contemporary living space. Whether homebuyers are in search of retirement, permanent, or vacation homes in Encinitas, there is something for everyone. 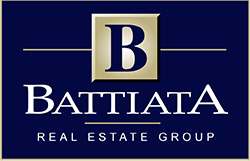 If you are interested in buying a house for sale west of the I-5 and Neptune Ave in Encinitas, California, please contact us today.